Troves of the Thunder King scenario is a fast way to make a decent amount of gold on any of your level 90 toons. However, there are many paths to take when the scenario starts. Clear the first room fully? Pick up only golden chests? Hug the right wall? Find only large clusters of chests? Skip the hidden chests? Run straight to boss? And more importantly, which items should you use your elder charms on? Many choices, but which one gets you the most wow gold? Let's find out! If you have 10 level 90 toons, you can make 6000 wow gold in 50 minutes in Troves of the Thunder King. I will now tell you how to make the most gold while in the Troves of the Thunder King scenario. To enter, you need a Key to the Palace of Lei Shen. Keep in mind that every run will be different, as there's a lot of RNG at play in the scenario. One run I obtained a whopping 20 golden treasure chests, and then when I did the same on my second alt, I only found 5 golden treasure chests. On average I can make about 550 gold per run on each of my characters that have most abilities that increase speed, like warlock and monk. Sometimes over 650, and sometimes way less. How many Burial Trove Keys you find ultimately decides how much wow gold you made from the run, as one equals about 65 wow gold. There's many tactics you can use, and they are all decent. But from my experience focusing on golden chests is the way to go. There's one exception though! If you see a cluster of normal chests (2+) next to each other, it's a good idea to loot them all quickly, if they are not too far away. Make sure you have auto loot turned on from your settings. The loot is very similar, but the chances to get each loot is increased about 8% when opening a golden chest. You can also receive some items multiple times, like tattered parchments and motes of harmony. A golden chest has about 15 gold coins in it, and a normal chest has only about 5. 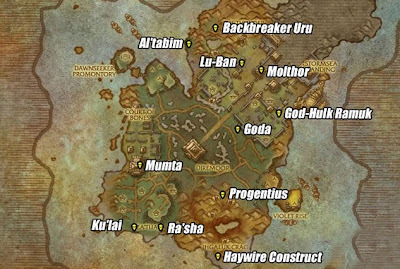 Where to find the Key to the Palace of Lei Shen? Finding the key is very fast always. 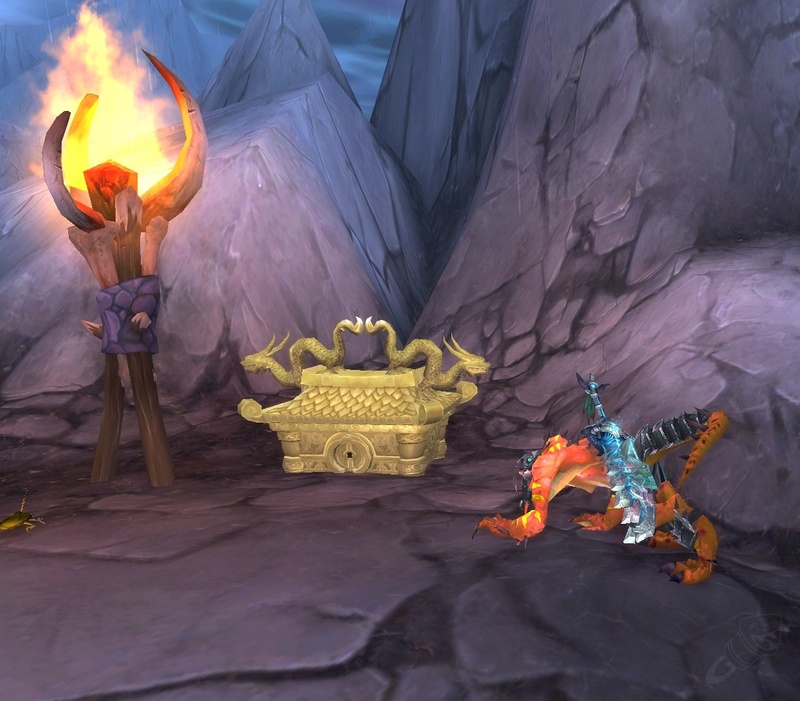 Your best bet is to find the weekly treasure chest in Isle of Thunder, called Trove of the Thunder King. It goes out of phase once you have looted it. It has a key 95% of the time. You can do this on each of your toons. 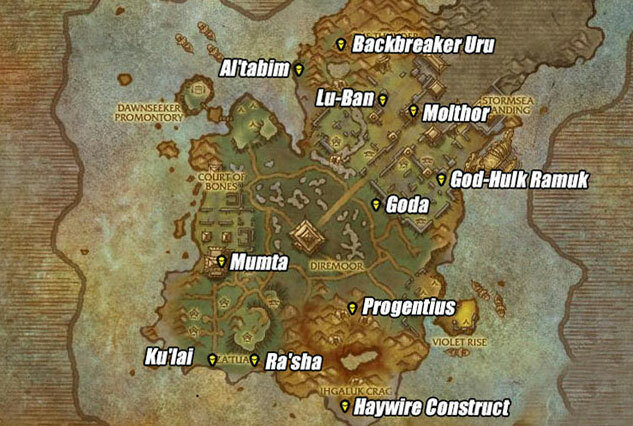 They are littered over the place and are easy to spot, but here's all of their locations, provided by wowhead. If you don't find a key from the chest, you should farm some rare monsters in the Isle of Thunder. Usually the first one you kill drops a key. Normal mobs also drop the key sometimes, but it's usually not worth it to kill them for the key, unless you're doing a daily quest or need black prince reputation. Which items to bring along? You can use your Elder Charms of Good Fortune to purchase useful items for the scenario. The vendor is located just next to the starting point of the scenario, before you turn in your key and start the timer. It's a good idea to use up all your charms before you start, as you can easily get over 15 elder charms from a single scenario and 20 is the limit you can have. If you have all the below items already, it's a good idea to grab an Arcane Trove or Sunreaver Bounty if you're horde. 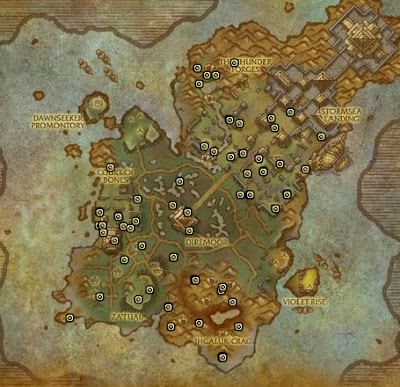 If you're lucky, they may have an additional Key to the Palace of Lei Shen, allowing you to do the scenario twice in a row. There's many turns in the scenario, and there's no wrong route to take. Everywhere you go, there's chests. You can however watch some of the more successful videos and decide which one you want to try. These 2 are my favourite routes and I have obtained the most gold when following them.